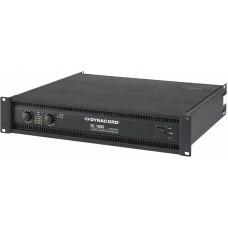 Dynacord SL 1800 pojačivač 2 x 900 W Output Power, Class H Topology, 2 HUAmplifier Gain (dB)32dBCont..
Amplifiers for professional use fitted with strong front panels. 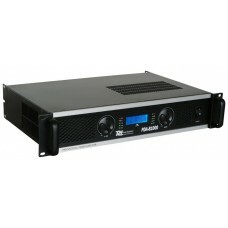 Very versatile due to high power re..
An Amplifier for professional use fitted with a strong front panel. With integrated 2-way crossover ..
Amplifiers for professional use fitted with strong front panels. 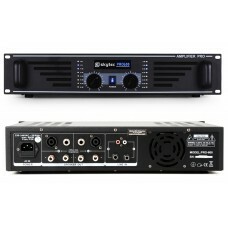 With integrated 2-way crossover net..
SkyTec SKY-600 Black PA amplifier 2x 300W Max. 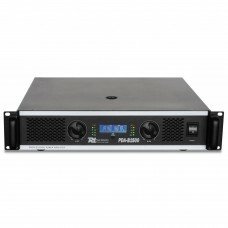 Serija pojačivača za poluprofesionalno korišćenje, idealna za DJ instalacije. 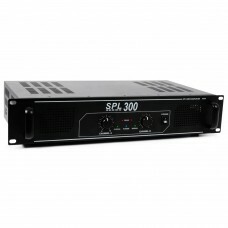 Moderna tehnologija M..
SPL300 pojacalo 2x 150W ima odvojenu kontrolu glasnoće i indikator rezanja za svaki kana..